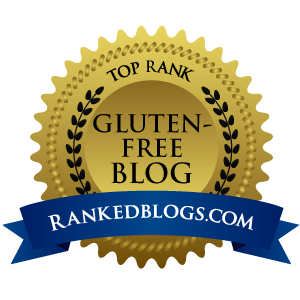 Recently I published a review roundup of many of my favorite gluten free snacks. I included some mini cookies, but saved the “real” cookies for a separate article. 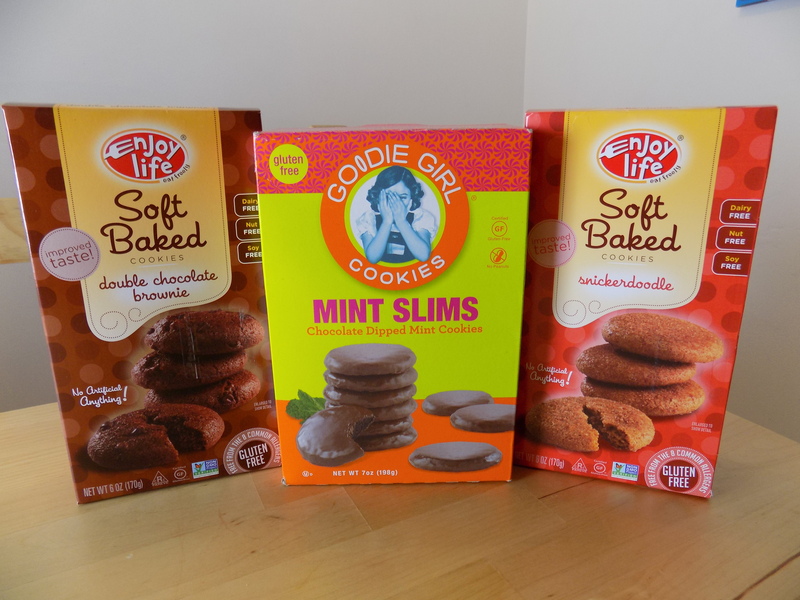 On my last visit to the United States, I picked up a few boxes of gluten free cookies to try (you’re welcome, dear readers!) Here are my latest findings! A word of caution: Newman’s Own brand of chocolate sandwich cookies are wheat free but contain barley flour. I don’t understand why they’d make a wheat free but not gluten free cookie, but they have. If your issue is with gluten, avoid these! To try to satisfy that craving, I tried *Enjoy Life Soft-Baked Snickerdoodle Cookies . They didn’t hold up in comparison to my beloved Chino Bandido snickerdoodle, sadly. These are small cookies with can be eaten in a couple bites. They are soft and very chewy, though I found them to be quite dense, which is a little off-putting. They have a very strong flavor of cinnamon and something else herbaceous. Upon consulting the ingredients, I found they are including rosemary extract – that’s the funky flavor I’m detecting. 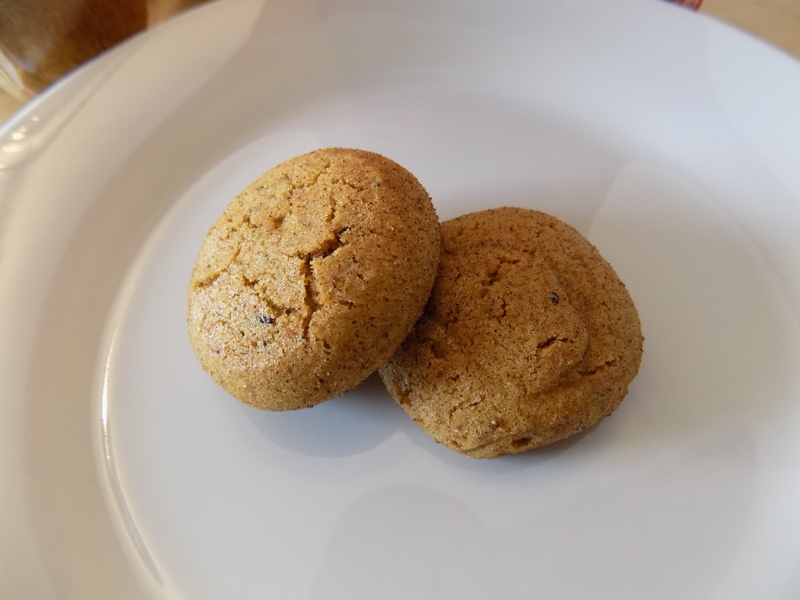 They are not bad as a cookie, but the texture and flavor aren’t really true snickerdoodle. I’m thinking this may need to be a future recipe quest, because it’s hard to replicate home baked flavor in a box. Another true love of mine in my gluten eating days was Girl Scout cookies – the Thin Mints were my favorite ever, and I would usually hoard a box or two in my freezer to try to make them last the whole year. Since then, every time I see those tables of colorful boxes filled with delicious gluten, I feel really sad inside. Right: Goodie Girl Mint Slims. 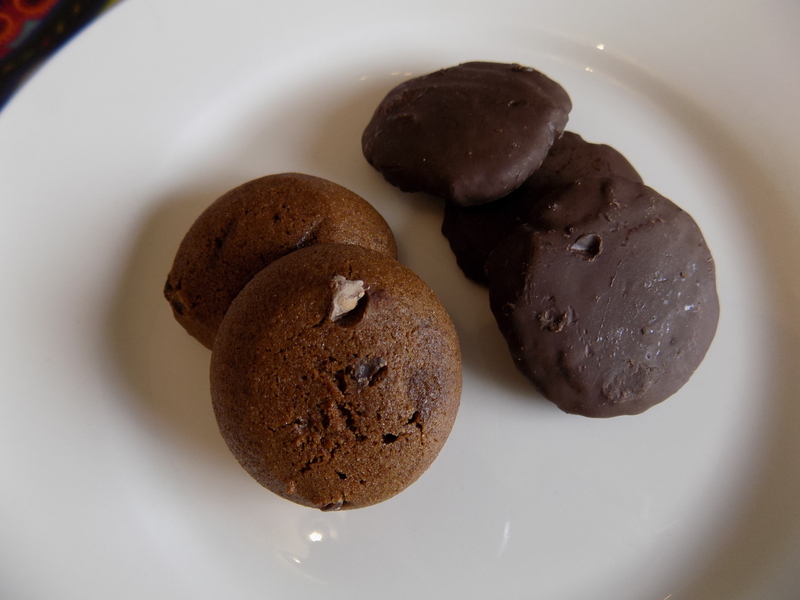 Left: Enjoy Life Double Chocolate Brownie Cookies. This year the Girl Scouts have introduced two gluten free varieties this year in certain test markets – Toffee-tastic, buttery cookies with bits of toffee, and Trios, chocolate chips in peanut butter oatmeal cookies. Sadly I am in the United Kingdom and I will miss Girl Scout cookie season this year. My cousin (who is not gluten-free) loves toffee and bought a box of the Toffee-tastic to try. She posted on Facebook that she really liked them, so that’s a pretty good endorsement! (Any time a gluten-free cookie pleases someone who can eat gluten, you know you have a pretty decent product.) If you get to try either of the new flavors this year, please tell me what you think in the comments! Is that a thing? I tried *Enjoy Life Soft-Baked Double Chocolate Brownie Cookies . They are also small, chewy and dense like the Snickerdoodles, but since this is a brownie cookie, I find this texture acceptable. They’ve got little chocolate chips in them (there’s your double) so there’s a bit of crunch within the chewy cookie. As for the flavor – I was underwhelmed with these. They have a really fake, processed chocolate kind of flavor to me, and even with the chocolate chips, the flavor is really one-dimensional. I was hoping for layers of chocolately richness, but these fell flat. I did find I enjoyed them more with a swipe of *Nutella on top, so if you find yourself with a box of these, I highly suggest that combination. They need a little something else though – a frosting or maybe a different kind of chocolate chip to give it a little oomph. Well there you have it – while I didn’t hate anything, my only true love on the list is Mint Slims. What gluten free cookies do you like? 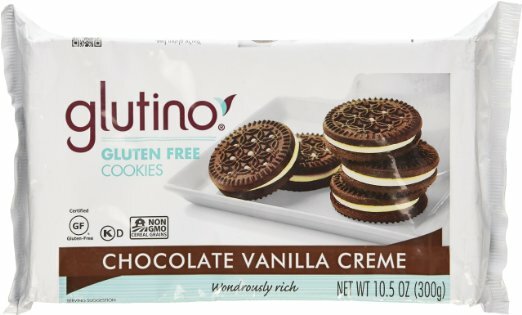 Which cookies do you miss from your gluten-eating days?